Where to Buy Superthrive, Superthrive The Original Vitamin Solution includes Kelp - 16 Oz - $27.25 for Sale with Fast Free Shipping! 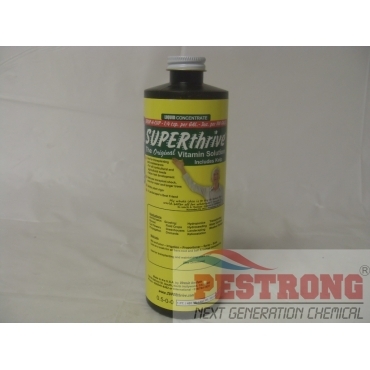 Superthrive The Original Vitamin Solution includes Kelp - 16 Oz is vitamins hormones extreme liquid concentrate that used for transplanting and maintenance for all horticultural and agricultural needs with helps root development. 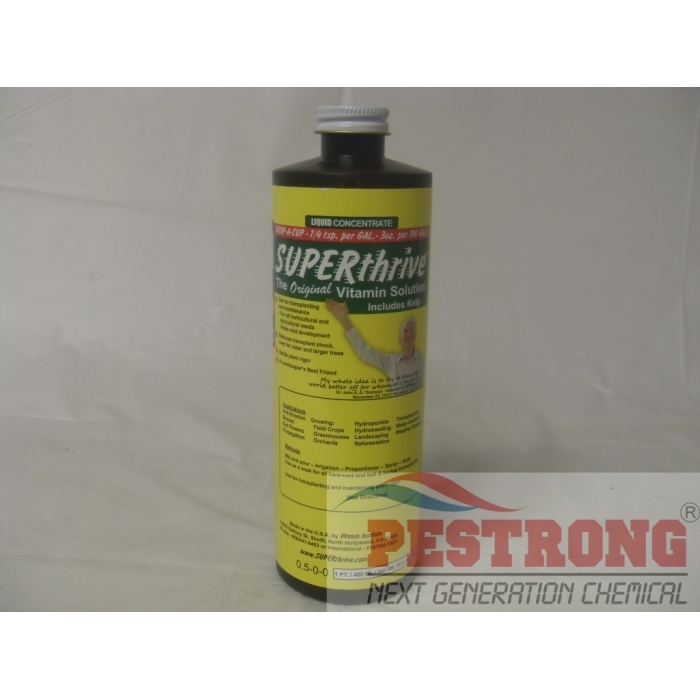 Growing and Maintenance : Superthrive encourages the natural building blocks that plants normally make themselves under optimum conditions, so it gives plants a better chance of achieving their full growth potential. Transplanting : Transplanting trees and plants can result in stress, which can negatively affect health through loss of leaves, damaged roots, and loss of your plant or tree. Using Superthrive before planting can prevent and treat shock and insure survival. Rate: Vary, but general dosage is 1 drop per gallon or 3 oz. per 100 gallons. See attached doasage chart below. Works great. Transplanted trees look great before, during, and after transplants. Growth has been consistent and stable. No signs of poor growth or stress.